Tapes On Pause is a new project from multi-instrumentalist Kyle Barnes. 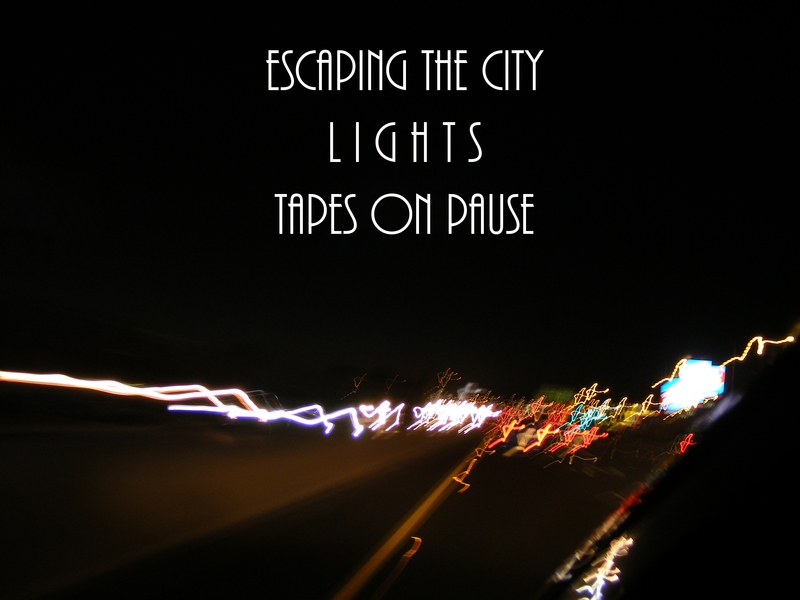 It’s a measure of his productivity that ‘Escaping The City Lights’ is the third album he has released this year already. The title reveals much of what you need to know about the ambient sounds within. You don’t have to look too hard for Barnes’ influences’ either. ‘Into The Lights’ and ‘Please Recycle Your Plastic People’ both doff their cap distinctly to Kraftwerk’s ‘Neon Lights’ whilst ‘Headlights And Highways’ balances 808 State global techno with metronomic rhythms. Tracks three and four could hardly be more different in terms of style and quality. Whilst the title track unearths a badly dated rock guitar solo, a much more modern approach is taken for ‘Summer Is In The Air Again’, which balances melodic synth lines with jazzy percussion. Elsewhere, an atmosphere of drivetime menace is writ large. ‘Escaping The City Lights’ may set its ambitions low. After all, how many artists try to convey nocturnal escapism via instrumental music? However, for the most part, Barnes delivers soundtrack-worthy material; perfect for the next “Buddy Cop” movie. A common mistake with new acts on the music scene is that they rush-release a follow-up in an effort to take advantage of fickle fans. No such crime was committed from Tom Vek who took six years away from music before releasing the belated follow-up to 2005’s largely superb ‘We Have Sound’. This electro whizz-kid seemed to be on to something new and exciting all those years ago, so recapturing that buzz was always going to be a tall order. Never one of the strongest singers, Vek’s dispassionate drawl does few favours to some of the weaker songs here; for ‘On A Plate’ and ‘We Need To Work Your Heart Out’, he sounds tired of the recording process already. However, his real skill is in his invention and Vek proves more than capable in creating some fine off-kilter pop songs. ‘Aroused’, ‘We Do Nothing’ and ‘World Of Doubt’ make hay with original hook lines and Vek’s trademark hard-hitting beats. ‘Seizemic’ provides a change of pace amongst the pummeling rhythms which sets up a less frantic second half of variable quality. With its dubstep leanings, ‘Close Mic’ed’ is a rare indication that Vek has been listening to what’s new during his “gap years” and ‘Too Bad’ is a spirited send-off. Vek probably hasn’t moved on enough off in the intervening time to generate a media frenzy but ‘Leisure Seizure’ is a solid and enjoyable follow-up. So for those looking for the next big thing, search elsewhere but for those who desire beat-heavy electro-pop, tune in. As well as his musical commitments, Adam Sarmiento’s CV includes time spent as a designer and gardener. The latter is actually quite indicative of the pastoral atmosphere he evokes on his latest album as I And I. 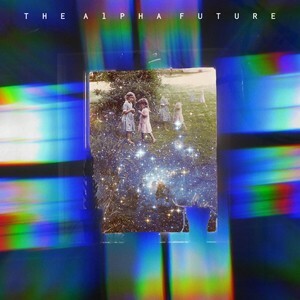 ‘The Alpha Future’ stretches between the downright commercial (‘1 = 1’ features classic synth pop hooks) and awkward mood pieces (the clunky, tribal noises of ‘Jaws Of Life’). Somewhere in between, Sarmiento seems to be crafting a distinctive brand of off-kilter pop. ‘Go’ has a celebratory feel that seems to have roots in African music whilst the first single, ‘Should Have Been A Beekeeper’, balances club euphoria with the sounds of nature awakening. Sarmiento’s low register vocals take some getting used to but on ‘Soft Science’, in particular, he sounds like Talking Heads’ David Byrne. The album reaches its highpoint, however, for the moody couplet of ‘Illusions’ and ‘The Hardest Part’, where he cleverly uses echo on the former and piano on the latter to create a tangible sense of loneliness. Albums by The Sea And Cake can vary between blissed out experimental pop and self-indulgent noodling. ‘The Moonlight Butterfly’ is one of their most rewarding efforts and possibly the best since 2000’s glorious ‘Oui’ (bearing in mind this reviewer has yet to hear 2008’s ‘Car Alarm’). ‘Covers’ gets events off to a flier with a familiar mix of Teutonic rhythms, smooth synths and guitar jangle. Sam Prekop’s clipped sighs may be one of the reasons why some don’t appreciate The Sea And Cake but it can be a potent weapon. He is to the fore on the sun-kissed delight that is ‘Up On The North Shore’; a sure a sign as any that The Sea And Cake adore popular melody whilst ‘Monday’ is an exercise in languid loveliness. In its compact thirty-two minute length, very few moments are wasted. The instrumental segment concluding ‘Lyric’ is warm and welcome, the title track offers primitive electronica but the true test is ‘Inn Keeping’. Crucially, within the track’s ten minutes of metronomic groove, the quartet manage to convey melancholic ache as well as tight musicianship. There will still be critics who reckon that John McEntire best work is with Tortoise; the group he is most famous for being a part of. 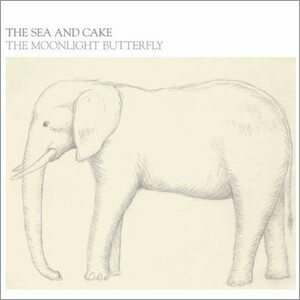 Yet whilst that band are one of the most influential acts in the post-rock movement, The Sea And Cake offer a laid-back, largely melodic alternative to jazzy experimentalism. As the recording name indicates, at the most fundamental level, Teen Daze represents a youthful form of dreampop. It’s also the fascinating result of the experiences of Jamison, an American student who found his inspiration whilst studying philosophy at a remote village in the Swiss Alps; chancing upon a CS Lewis novel called ‘Out of The Silent Planet’. Containing layered vocal effects, glistening guitars and serene synth washes, ‘Surface’ is an alternative anthem for summer. Then, after such a sugar rush of a beginning, the lighter than air ‘It Calls Me Under’ swiftly calls in the comedown. This song is the equivalent of falling in to a bed of feathers but its weightlessness becomes soporific after a few minutes. ‘The Harvest’ is one of the less complex tracks as layers are removed to reveal the delightful acoustic melody at its core. Similarly, ‘Watch Over Me’ has a strong hookline to form its backbone and is all the better for it. That just leaves ‘Malacandra’; a lovely finale which recalls a primary-coloured Boards Of Canada. 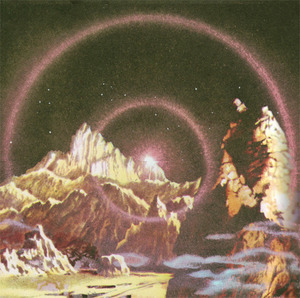 If ‘A Silent Planet’ does overplay its dreamy card too much, it would take a hard heart not to be seduced by its superficial beauty. The six songs form a real floaty experience that perfectly suit the EP format but one can’t help feeling that an album’s worth of this kind of music would benefit from more robust rhythms or some strident vocals. 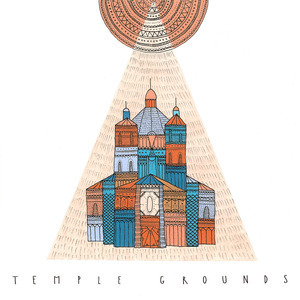 Temple Grounds are a new act from London with the foundations of their sound based on the kind of sturdy guitar rock favoured by Foo Fighters, Biffy Clyro or even The Manic Street Preachers in their stadium rock pomp. Strip away the thick layers of instruments though and the group’s main USP seems to be their well-executed harmonies and each of the songs on this EP sensibly plays to this strength. ‘Half Alive’ is a suitably stirring opener and it gives way to the mid-paced ‘My Way Out’, which builds deliciously from moody verses to a euphoric chorus. Even after ‘Sun And Rise’ veers dangerously into power ballad territory, by the time of final song ‘Say It All’ they have clearly mastered the combination of intricate playing with powerful and heatfelt singing. Temple Grounds’ bio promises to deliver an “innovative, elegiac and epic sound” and whilst they deserve a big tick against the latter two qualities, their anthemic sound is not exactly breaking new ground (in fairness, who does?) Having said that, they boast some sterling vocal melodies which will surely serve them well both at home and – looking further afield – in the US. 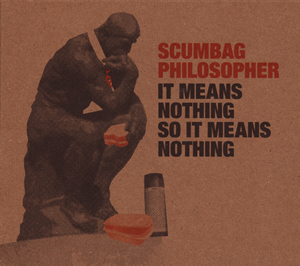 One shouldn’t start with a negative when writing about a fine piece of work, but the saddest point to make about Scumbag Philosopher is that if John Peel were still alive, they would be on constant rotation on his show. For this Norfolk act are anarchic, witty, punky and – at their best – downright catchy. The record begins with an anthem that would be appreciated by anyone who has worked in a large organisation. ‘Tickbox Exercise’ is a cracking song too; with Grant Madden’s cynical vocals defying appraisal systems (“You want me to strive to be better but don’t follow your own letter”) backed up by drummer Anne Reekie’s high-pitched response, whilst the guitars and rhythms create a tight Gang Of Four-style framework. Each song appears to have a target. ‘Heroes At Home’ debunks celebrity culture, the incredibly infectious ‘Social Networking Site’ throws scorn on the likes of Facebook (“Add me but I’m in the same room. Friend me, but I’m sat next to you”) and ‘God Is Dead So I Listen To Radiohead’ speaks for itself. The quartet are angry and satirical but also back up their songs with compelling riffs and vocal hooks. It would be rather ironic if their addictive qualities were matched by extended airplay but it’s important that provocative music like this exists.